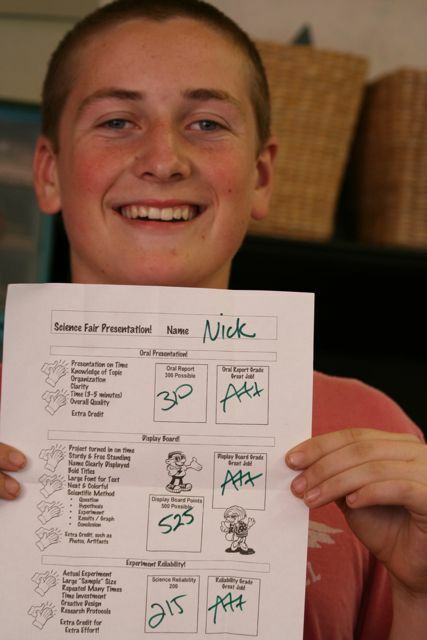 Nick did a great job on his 8th grade science fair board, his oral presentation, and his report! He was very proud to show the a++ to me and his pop, with a mile wide grin to boot! !